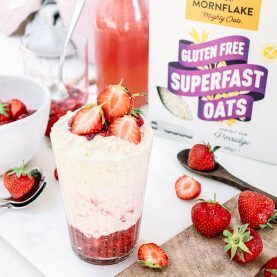 There is nothing more comforting than fruit crumble for dessert and this rhubarb and ginger oat crumble will not disappoint. 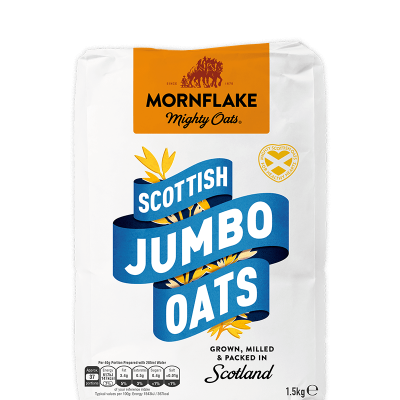 A combination of Scottish Jumbo Oats and ground almonds make a perfectly crumbly topping. Slice the rhubarb into 3cm pieces and add to a saucepan. Finely chop a ball of stem ginger and add to the rhubarb along with a tablespoon of the ginger syrup and a tablespoon of maple syrup. Cook over a low heat for 8-10 minutes until the rhubarb is just cooked. To make the crumble topping add the jumbo oats, ground almonds and butter to a large bowl and rub together with your fingers until combined. Sprinkle in the sugar and ground cinnamon and stir together. 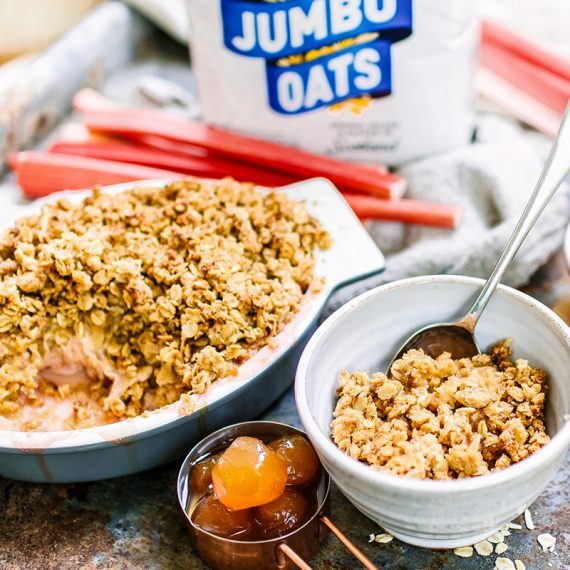 Spoon the cooked rhubarb into an ovenproof dish and cover the fruit evenly with the oat crumble topping. 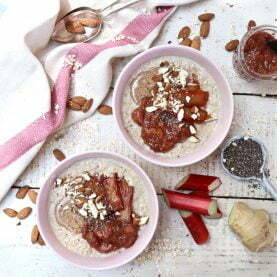 Place the rhubarb crumble in the oven and cook for 20 minutes, until the oats turn golden on top.